Everyone is likely familiar with monster cookies, which are known for their everything-but-the-kitchen-sink approach to add-ins. I love those kinds of cookies for their amazing flavor, but also for the handy way they use up lots of odds and ins from my pantry. I combined that idea with a chocolate chip pie recipe I was given a while back by a dear friend. 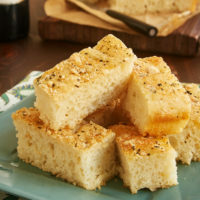 The recipe was from her grandmother’s recipe box, and it was noted as a favorite. 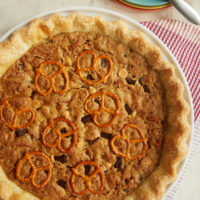 That pie consisted of a thick, cookie-like filling with plenty of chocolate chips and nuts. 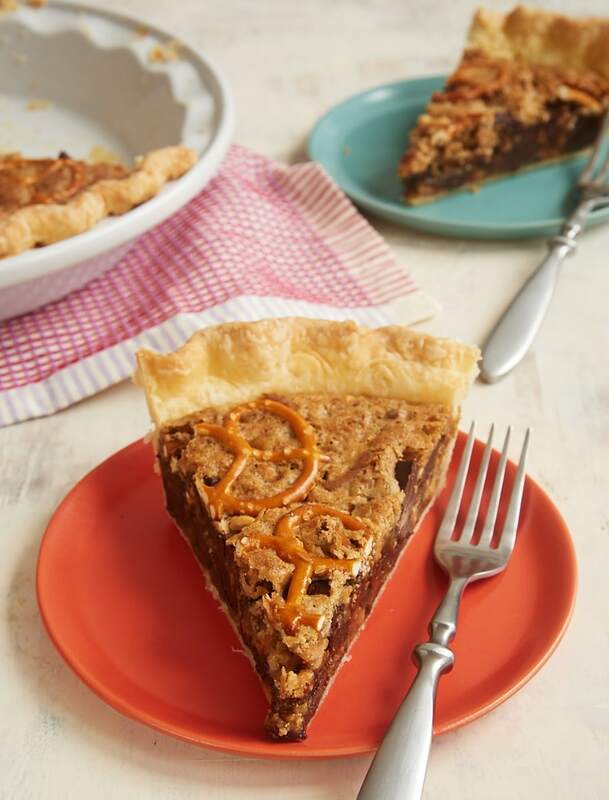 This pie takes things a few steps further with not just chocolate chips and nuts but also peanut butter, toffee, even more chocolate, and pretzels. 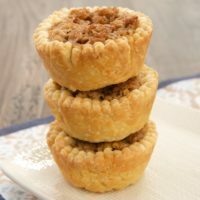 This is such a great recipe for having fun with different combinations of add-ins for the filling. 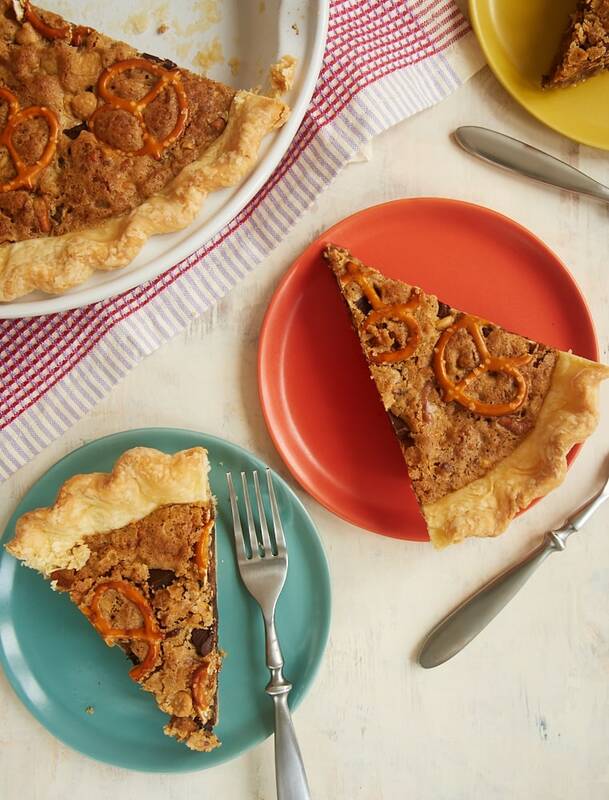 The pie you see in these photos was made with semisweet chocolate chips, milk chocolate chips, peanut butter chips, chopped nuts, and toffee bits. But just think of all the different things you could use. Try coconut, dried fruit, M&Ms, chopped pretzels, and so much more! 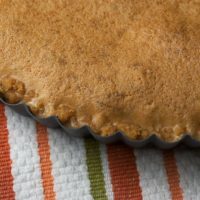 Use different combinations and never make the same pie twice! In addition to some chopped pretzels in the pie, I topped it with a few whole pretzel twists to give it a fun look. 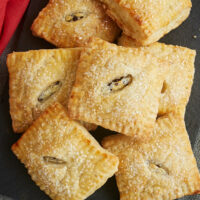 They also add a little saltiness to the party and provide a bit of crunch as well. 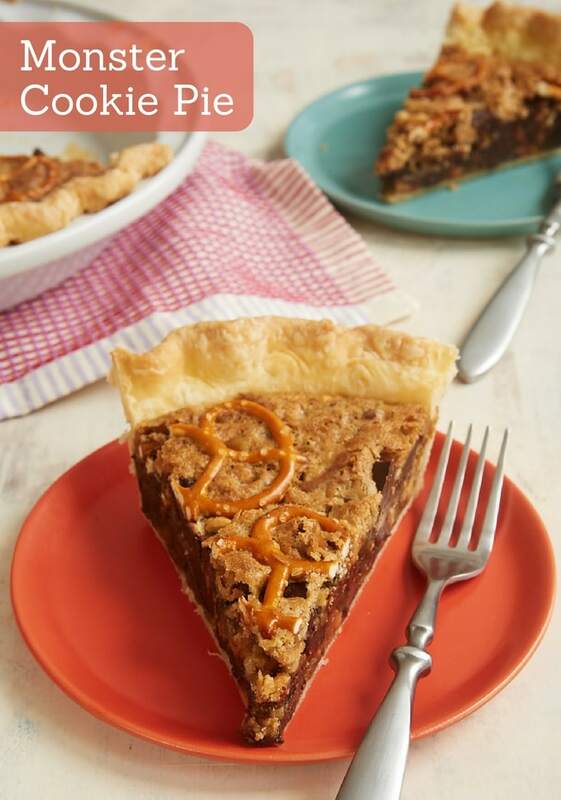 If you’re looking for a fun dessert that’s sure to be a crowd pleaser, give this Monster Cookie Pie a try. Start combining all those extra ingredients to see what delicious variation you discover! 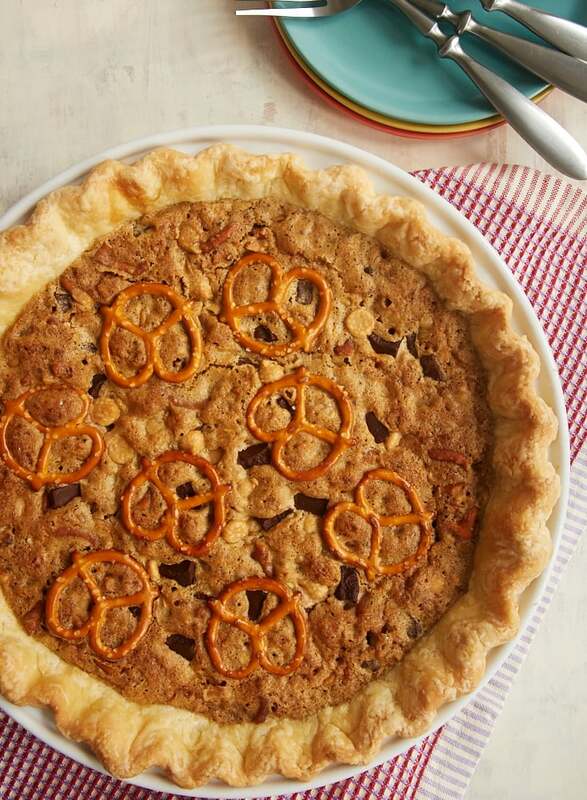 Monster Cookie Pie is jam-packed with all your favorite flavors. Such a fun and tasty dessert! 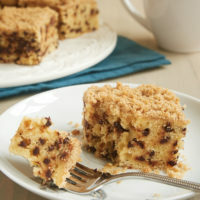 2 cups total of your favorite add-ins, such as chocolate chips, chopped nuts, toffee bits, coconut, etc. Combine the butter, sugar, brown sugar, eggs, and vanilla until thoroughly combined. Stir in the desired add-in ingredients. Transfer the filling to the chilled crust. If desired, place pretzels over the top of the filling. 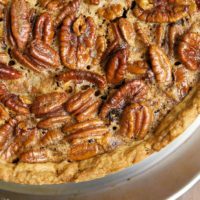 Bake 45 to 50 minutes, or until the crust is golden brown and the center of the pie is set. SOOOO this recipe is necessary. I HAVE to make it! !